The Ithaca 154 has reached end of life. We recommend the Epson TM-H60000IV as a replacement. 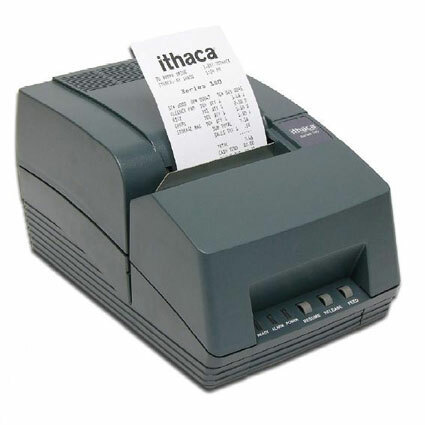 Leading companies in point-of-sale, hospitality and more look to Ithaca for fast, reliable printers that last. 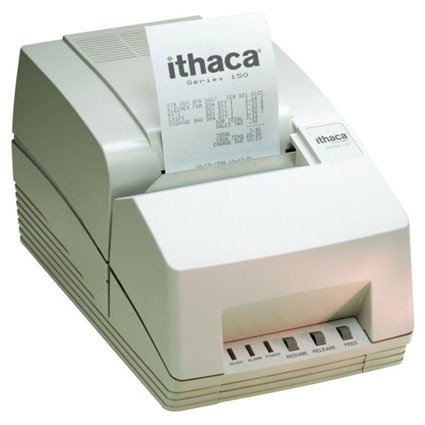 The Ithaca 154 Printer was designed by taking the industry standard Series 50, and adding more. Print speeds up to 9.5 lines per second are 3 times faster than the original Series 50. In addition, the Ithaca 150 Series is a more compact, economical unit with excellent reliability and an industry leading warranty.